Since I gave up red meat and other sorts of meat instead of seafood, one of the questions I had was “eggs.” I love eggs as much as I love red meat and for people with endo, eating out gives us very few choices except for Asian restaurants and if you order fried rice, you’ll get eggs, etc. So are eggs good for endometriosis and for shrinking endometriomas? Whatever helps endometriosis will also help endometriomas because it’s the same toxic cells acting up that lead to everything. Endometriosis is led by these cells called Fibrin and everything we’ve been eating or stating on this site has been trying to dissolve and get rid of these bad fibrin. Where does egg come along? Is it safe to eat? Is it inflammatory? I have no idea why some people say eggs are inflammatory. It may be because they didn’t really know what chemicals or nutrients eggs are composed of. The web is full of conflicting opinions and that made me really confused on what foods you can and cannot eat. 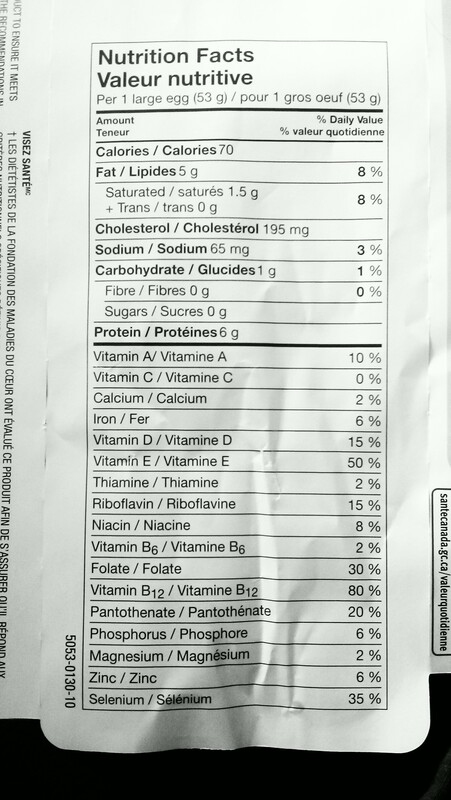 Not only is egg low on fat, it also includes a load of vitamins that we need (especially those trying to get pregnant). A study published in Biological and Pharmaceutical Bulletin showed that proteins in egg yolk inhibit platelet aggregation. It also showed that it makes the process of turning fibrinogen into fibrin longer. Fibrinogen is a protein in the blood. Fibrin is what we’re fighting against. Fibrin is created when platelets and red and white blood cells are deposited to form a blood clot. 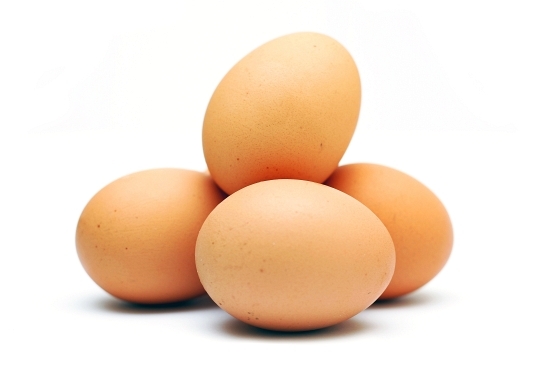 Eggs prevent the clotting and they do it by the dose. The more eggs you eat, the less clotting. But note, don’t go out eating crazy amounts of eggs. 2 per day is a good quantity that is beneficial for your health as well as your endo. What in eggs reduces, yes, actually “reduces” and not increases, inflammation? Choline. 2 eggs contain about 250mg of choline. This is half the recommended dosage for a normal diet. 90% of the American population is choline deficient. When you’re deficient of choline for a prolonged period of time, men and women develop a fatty liver as well as muscle damage. You can do a search on egg health benefits and find more information on their good values but my point today is to clear up the whole whether to eat eggs when you have end problem. The answer is: yes, you may eat it! It’s about the only protein besides vegetables that’s great for you during your process of ending endo. Go for it! This entry was posted in General, Health Foods, Infertility, Treatments and tagged egg, egg nutrients, Endometrioma, Endometriosis, fertility treatments, Fibroids, health, Infertility. Bookmark the permalink. 10 Responses to Eatings Eggs for Endometriosis? Thanks so much for that response. Has been a huge help. Was really confused about that too. Recently been diagnosed with endometriosis after suffering with for the ten years. Had to have surgery too to remove a cyst. Any ideas on how to prevent chocolate cysts from happening again? I follow a strict endo diet now. No red meat, wheat, dairy or sugar. I don’t know what the chemical component of eggs are, or how what effects what part of the body, but I do know that I had endometriosis for 2 years, 2 surgeries, plans for a 3rd, years of hormones, and that when I stopped eating eggs, including eggs as an ingredient in other foods, my endometriosis completely disappeared within 3 months. In fact, all my reproductive ailments came to an end when I stopped eating eggs, funny I never realized that until just now. But it was only true if I was strict. No anything with eggs. Just eggs? Or did you cut out other stuff while you were on your no egg diet? That’s a good question. It was just eggs, but if you consider things that eggs are added into as ingredients, you end up eliminating a lot of other things probably. I figured it out by accident. It was my first ‘diet’, the blood type diet, which encourages eggs wholeheartedly. I don’t recall what else I was eating prior to giving up eggs, but I had begun having major skin issues on this diet, inflammation and acne like I had never seen before. This was the reason I stopped eating eggs. I hadn’t even considered my diet as an issue to my endometriosis at this point. I was eating cage-free, gmo-free eggs that I was driving out to a farm to get, so the eggs couldn’t have been more pure. So when I stopped eating eggs, I abandoned the diet as well, and was just eating the standard American diet we are all accustomed to – minus eggs. So that’s how I first realized it was the eggs. I had actually just scheduled to have my third surgery (for endo) around the time I quit eating eggs, because my symptoms were so bad – the worst of my entire life. I was even considering a full hysterectomy (my case has been very bad all my life..I’m only 37 now). The total disappearance of my endometriosis symptoms was a complete surprise. I wasn’t looking for or expecting it. I also had a problem with severe pain in my backside and severe pain on my ovaries during ovulation, which all completely disappeared. After 2 surgeries, 6 years of depo, a short stint with danacrin, 20 years of misery, lost money and time… to be like it never even happened to me is a miricle. I have zero issues related to endometriosis now. It really is like it never happened. I have since further restricted my diet, as I find I am intolerant to a lot of things, but back to your question, at the time I cut out the eggs, it was strictly the eggs. I still ate a lot of other offensive foods. And I noticed improvement from my first cycle, but by the third cycle, to be completely pain-free, I’ll never forget the shock I was in. It’s years later, I’m still in it. I think the reason I was able to figure it out was precisely because of how strict I was about eliminating eggs. My face was a mess, like a rash had covered more than 70% of it in this horrible break-out, so for at least the sake of vanity, I was very, very strict about the eggs. I think if I had not eliminated foods that used eggs as ingredients, I wouldn’t have had a total abatement of symptoms. I think this is why a lot of people don’t get results when they do food elimination trials. You have to be very diligent. Hi, for my case, eggs didn’t affect me but it was the red meats and the processed foods. My guess is this. Your body had an allergy to eggs all along and when people have allergy and don’t solve it, it attacks your immune system with leads to endometriosis. The reason why endo comes is due to a weak immune system and excess estrogen. I also recommend people to get a full allergy test at their doctors to figure out what they are allergic to. This is why I had recommended the gluten free diet as well because many people could be allergic to a food they didn’t know about and because the allergic reason is not seen through the skin (like a rash) and is only slight, long term exposure to the food could cause your immune system break down and develop endo. This means you could have been allergic to eggs all along! I’m so happy to hear you got rid of endo by finding the thing that was attacking your own system. In your case, it was immune system and not so much of excess estrogen. Congrats! I still encourage others to eliminate red meats and processed sugars and foods as a regular combat to endo as so many women that have been on the diet has seen relief! I had the comprehensive ALCAT done and I’m not allergic to eggs. I actually eat red meat and my bloodwork always comes back well within the normal ranges. It’s weird because I used to suffer seasonal allergies as well and haven’t had those in years. Although I don’t eat processed food or sugar either. Good luck to you – Great website. Hello, firstly I have enjoyed reading through your blog there are a lot of great posts! Thank You!, I just wanted to add also about eggs, oestrogen that helps endometriosis grow as i am sure you know already, and eggs contain oestrogen which can contribute to the growth of endometriosis, I am unsure how much oestrogen they contain but for me I try to limit my intake as much as I can. the ability to backup your program to a house or company network. Them made available a system sorcerer to help you with connection your own home multilevel. Half of this has been taken from endoempowered.com!! !